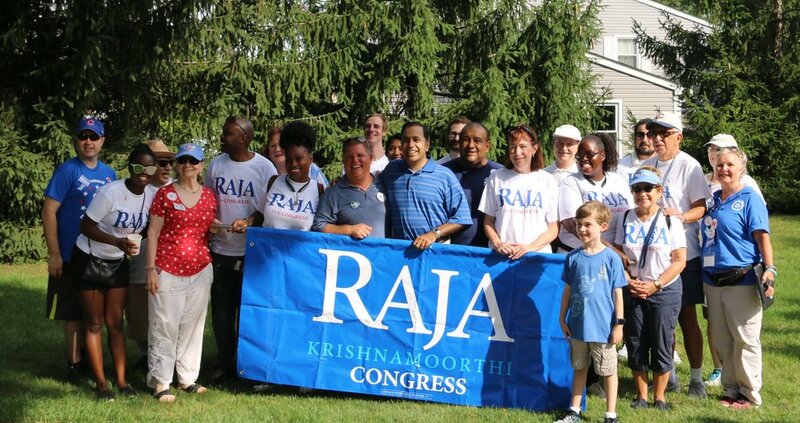 Schaumburg Area Democrats Labor Day Parade had a GREAT turnout – about 150 people including: Elected officials: Raja Krishnamoorthi, Laura Murphy, Fred Crespo, Michelle Mussman, Kevin Morrison (running for Cook County Commissioner), Nafees Rahman (running for Schaumburg President), Streamwood Park Commissioner Raees Yawer, Committeeman Michael Cudzik and the JB Pritzker Staff. The Jesse White Tumblers were phenomenal. 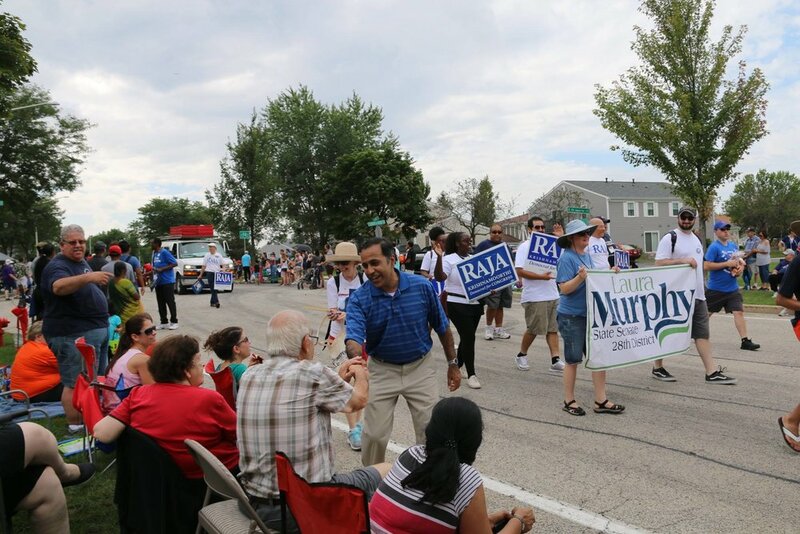 After the parade, Mike Murray hosted a BBQ afterwards which the Pita House catered. The food was delicious and plentiful and when the last meal was served the skies opened up but not before we were all able to get home safely. 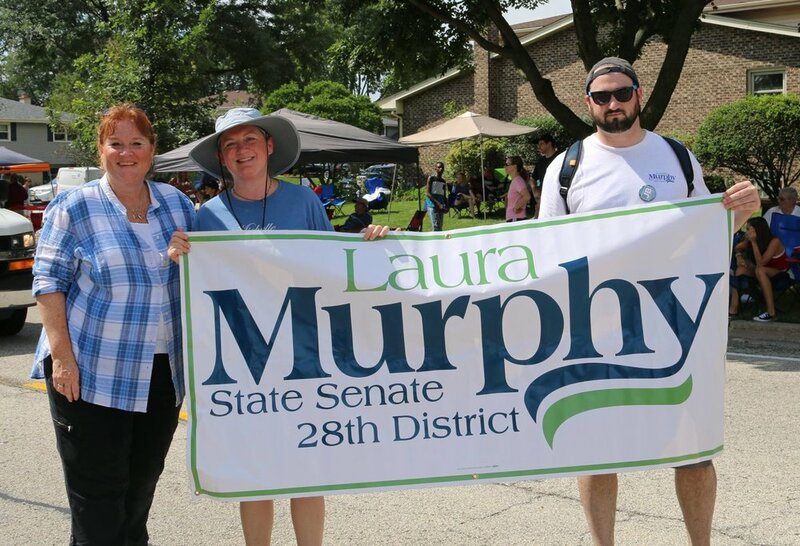 So, it was a great parade even though it was HOT, HOT, HOT we didn’t get rained out. 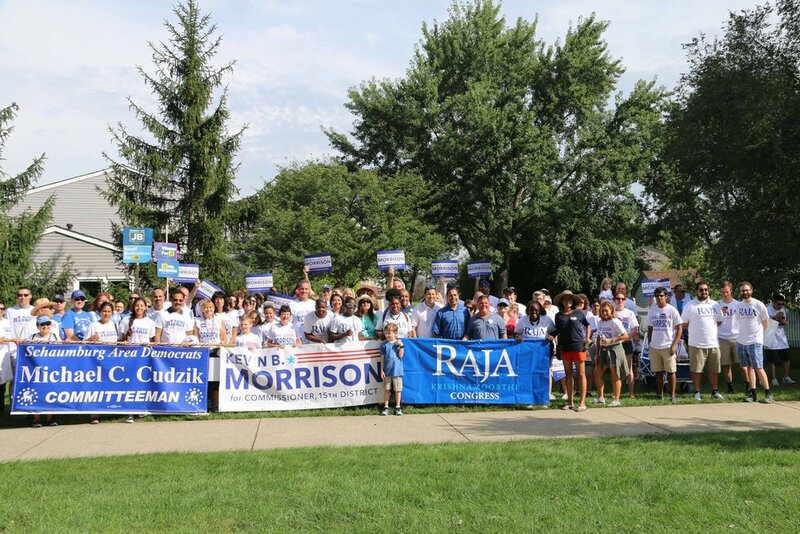 We thank all who braved the elements to walk with us and we thank you especially for your enthusiastic support.